Why has nobody made a modded/custom controller with a second joystick in the opposing position to the D-Pad - this stick would be mapped to imitate the ABXY buttons so it's compatible with FPS titles natively. It might not be as smooth as a modern secondary stick but it's a start. Either way, the DC controller deals with most things just fine, tho I admit the lack of the C and Z buttons can only be considered a glaring oversight on SEGA's part back in the day - it effectively gave the DC fewer inputs than the Saturn. To note, the NFL2k series is the only game I know that uses the "5th button". If you look at your offensive play choices, you'll see an "L" (why "L", I do not know). This is the "Z" button on my 6-button Innovation and Madcatz controller ("C" button is not used). Roareye wrote: Either way, the DC controller deals with most things just fine, tho I admit the lack of the C and Z buttons can only be considered a glaring oversight on SEGA's part back in the day - it effectively gave the DC fewer inputs than the Saturn. It wasn't actually an oversight though, it was deliberate. The Dreamcast's controller data protocol does specify optional C and Z buttons, and even a second analog stick. Sadly SEGA chose not to include them in the final design of the controller. Roareye wrote: Why has nobody made a modded/custom controller with a second joystick in the opposing position to the D-Pad - this stick would be mapped to imitate the ABXY buttons so it's compatible with FPS titles natively. It might not be as smooth as a modern secondary stick but it's a start. Roareye, the controller you seek was actually made back around 2010 or so, and a guy from here by the name of Spinksy bought the modded controller and cleaned up the design. Please excuse the blurry nature of the picture, I actually had to retrieve a cached version in a search engine that was really bad quality. I never backed the pictures up when it was made. But if you want to know what they did, they tapped into the d-pad and copied that. Many FPS games on DC have PC-like controller customization such as in Half-Life and Quake, so you could make it work and keep the face buttons for other uses. I can't find the video demonstration on YouTube the original creator of the controller made before Spinksy got his hands on it and cleaned up the design. I would actually add C and Z micro switches to the place where LB and RB are on 360/Xbone controllers to get full use of digital L and R.
I really hope one day a "modern" Dreamcast controller pops up. Something like that Retro Fighters controller for n64. Dreamcast could really use it. Maybe with the second stick mapped to the twin sticks 2nd input. Does anyone make them or was it a one off? 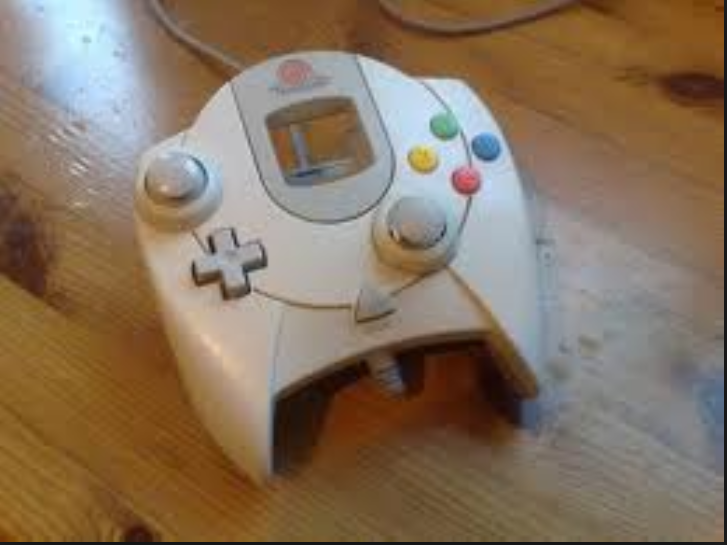 I'm hoping retro fighters does a dreamcast controller. Their n64 controller is awesome! The official twin stick controller comes in my mind. But this one only emulates the stick/d-pad? So does a twin stick controller worth with quake 3 and such?